ONE PASSION. ONE GOAL: YOUR HOME. 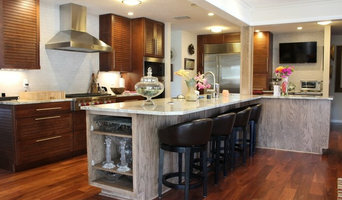 KBR Designs Inc. is carrying on a 40 plus year tradition that began in 1973 with Kitchens Etc., by Regency. Our focus has always been on the client and helping them to discover their individual tastes and desires. We listen, create, and find solutions to provide new spaces that have proven time and again to be the new place of their dreams. While kitchens are our primary focus our projects vary in size, scope, style, and budget requirements. From remodels to new construction, primary residences to vacation homes and investments, we’ve had the great honor of being able to provide designs and products for clients not just locally but throughout the Southeast and Bermuda. J.A. Long, Inc. has built a stellar reputation as a master builder for some of northeast Florida’s best residential custom homes. Founded by John A. Long in 1972, J.A. Long is a family-owned company that is driven by its commitment to quality, personalized service and creating some of the most beautiful homes in North Florida. By focusing on delivering a quality product, the firm has built a reputation for real dollar value and solid craftsmanship. These high standards are made possible by the family’s personal involvement in every project from the original design work to the daily on-site supervision. These standards are also backed up by the J.A. Long “Extended Care” policy that goes well beyond the written warranty. The company’s own Florida-style custom designs focus on wide open spaces and creating a natural fit between each home and its surroundings. J.A. Long also enjoys working with clients who have their own plans and ideas to create a truly customized living space. J.A. Long understands the importance of building a strong, lasting relationship with each client. The master homebuilder maintains a constant open line of communication to deliver on its promise to build your home on time and within budget. For over 20 years we have made it a point to learn the most up to date business practices. In doing this we have devised a process that has really helped the client achieve their ultimate space. From the design process we work hand in hand with you to get the ideas onto paper. After that it is our goal to provide you with the best construction experience out there. We offer a hand in hand relationship from start to finish. We don't win unless you as our client are extremely satisfied in your end product. It's our goal to make you happy and to provide an excellent experience. *Authorized Waypoint Living Spaces Dealer* Our Professionally Certified Kitchen and Bath Designers provide assistance in all aspects of the Interior Design industry. We realize the importance of providing unmatched service to our clients. 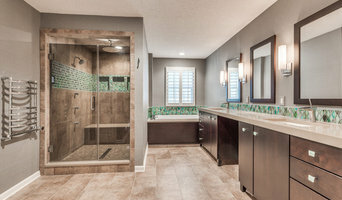 Building and remodeling projects require many decisions and details. R Cabinet Studio has valuable relationships with many vendors and manufacturers that understand what it takes to be competitive and not sacrifice quality because quality is just as important as aesthetics. A few of our Studio partners are Entegra Roofing, Traditions Tile, Top Knobs and Medallion Cabinetry to name a few.